The WordPress for SMEs and High-Scale Platforms is designed to help business owners, marketing directors, and other decision makers who want to scale an existing WordPress solution, integrate WordPress within their technical suite or migrate a proprietary framework to WordPress. 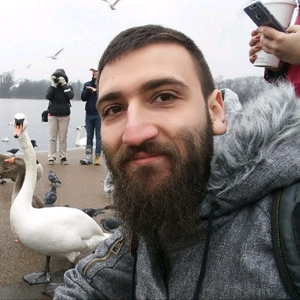 Mario Peshev is a WordPress Core contributor and the CEO of DevriX - a distributed WordPress agency. DevriX works with SMEs and large enterprises in the automotive, health, banking industries, building unique features for complex and heavy web solutions. What are the top security considerations for enterprises considering WordPress for their product or a web application product? Episode 15 covered 8 major obstacles we've heard from enterprises considering WordPress. Wrapping up the top 15, here's a list of 7 additional challenges we get in sales calls and emails, and during meetings with enterprise-grade clients considering WordPress. Lots of people perceive redesigns as a sporadic activity or an emotional one -- but there's often a good reason to plan one. Here's my top pick of reasonable explanations and triggers leading to planning a new website redesign. #30: How to Plan and Handle Ongoing WordPress Development? #29: Why Are WordPress Agencies Switching to Agile? The benefits of agile development for both clients and vendors, especially in the context of the WordPress ecosystem. WordPress 5.0 is just around the corner. The most major addition to the core CMS running 31.6% of the Web is Gutenberg - the new visual builder replacing traditional WYSIWYG interfaces. What is the core goal of Gutenberg and how to leverage it once the update kicks in? Most people keep adding more and more plugins to their website, until it gets bloated and barely working. It's only one of the common ways to introduce new features. Find out more here. #26: How to Protect Yourself From Bad WordPress Advice? Have you read up on best practices and top plugins online? Chances are, you've seen tons of marketing collateral or people pitching themselves. Here's how to stop receiving poor advice. Small websites could be exported quickly from a cPanel or with a simple plugin. The more your site grows, the more you get to hit certain limits and edge cases. Here's what you need to know about backups and the core areas of WordPress that need attention. #24: How Did WordPress Gain Popularity as a CMS? What is the reason WordPress is so popular among both small businesses and enterprises? Here's a history of the CMS starting back in 2003, with some economic and cultural reasons it stood out compared to other industry solutions. #23: What Could Completely Crash Your WordPress Website? You don't need a malicious group of hackers to bring your server down. There are plenty of seemingly innocent services that could effectively kill your website - on a regular basis - without being designed to do so. Search engine bots, broken page checkers, automated DDoS attacks, sitemap regeneration can be your arch enemy. Learn why in this episode. #22: How Do Hosting Migrations Work? A step-by-step guide on performing hosting migrations between different vendors. Touching base on the core aspects of a WordPress website, limitations and caveats while moving back and forth, and the checklist you need to go live. #21: Can You Build Airbnb, TripAdvisor, Netflix with WordPress? WordPress is often aimed for MVPs and established platforms, including cloned builds of familiar products. Let's review these popular web services and see how suitable is WordPress if they started now. #20: Why WordPress Isn't Taught at Universities? #19: Why WordCamps and Meetups Are Important? If you use WordPress in any capacity, WordCamps are a great place to be at. You can meet prospective partners or employees, learn the internals of the contribution process, find out what are the reasons behind some core decisions by the leadership team. #18: What Takes Web Developers So Long? Ever felt like a simple feature took forever? There are tons of cases where this may be appropriate. A growing platform can't tolerate outages or regressions. The scope expands over time, and business needs become harder to implement. This involves experts from different industries and sets a complex iterative process of deployments. Here are some of the scaling challenges we have faced and what took so long to deliver features for high-scale partners of ours. #17: Does WordPress Support LMS? Is WordPress a good fit for LMS? We have built solutions for universities, private academies, schools, and businesses. WordPress can deliver courses for single sites, existing platforms, and even multisite. Here's what you need to know about LMS in WordPress. Some say it isn't but many pick it for UX purposes. Regardless, what most people struggle with is the WordPress dashboard. Rest assured, there are ways to style it or even completely restructure it. You can also create a custom dashboard on the front-end. And how about a RESTful single page application? Checked. 8 obstacles that enterprises tend to report in WordPress while working with development companies and other tech studios. Common objections, fears, and struggles based on previous experience. #14: How to Hire An In-House WordPress Team? If you have worked with freelancers or agencies, but look forward to building an on-site team, here's what you need to do. Figure out your business requirements first - in the long run. You want to make sure that your team is kept busy at all times, or they will get bored otherwise. Define your technical requirements by consulting with your CTO or an external technical consultant. Prepare your job descriptions for back-end and front-end developers, and decide whether you need server guys, designers, QA, managers, and anyone else in-between. Finding back-end developers will be tricky, but here are some workarounds you can leverage on the way. What are the most common reasons WordPress websites are slow? The list is long, but we have identified the 6 main bottlenecks preventing your website from running much faster. Here is the short speed optimization checklist that you can apply for your own web platform. #12: Should You Pay For a Custom CMS Instead of WordPress? WordPress powers 30.5% of the web - leading the charts for the most popular CMS out there. Building proprietary CMS platforms was quite common back in the day - primarily due to the lack of viable alternatives. Here's why custom CMS platforms are far less popular nowadays - due to problems such as vendor lock-in, expensive add-ons, and a long period of QA. #11: Visual Builders and WordPress - What About Gutenberg? Visual editing in WordPress isn't trivial - the more your platform grows, the more performance issues you'll end up facing. There are different ways to craft and manage content in WordPress - and they don't necessarily involve builders like Visual Composer. Also, we touch on the future of Gutenberg and what will change in WordPress. #10: How Much Does WordPress Maintenance Cost? You can see maintenance offers for WordPress platforms that ask for anywhere between $20/mo and $10,000/mo. How come there's such a gap between different offerings? I've covered the pricing process of most companies, what goes into maintenance plans, how to come up with your own ballpark or predict some areas that will eat up more time. #9: Is PHP Reliable For High-Scale Apps? Is WordPress a suitable platform for running an online store? Yes, it's simply great more often than not. And there are specific things you need to understand upfront. Listen to the backstory of EDD and WooCommerce, their business models, how they differ and what could be done with them. #7: Can I Build a WordPress SaaS? Software as a Service lets you charge your customers on a monthly basis, generating passive revenue through recurring payments. WordPress is a great engine for SaaS - but you need to approach that carefully. Installing a poor set of plugins will add up based on the number of subsites, which gets increasingly challenging over time. Here's what you need to plan for. What sort of hosting options are available? From shared and VPS through dedicated and cloud to managed instances. What is the best option for a scalable and large platform? The number of active plugins doesn't matter. You can run 100 lightweight plugins and do just fine, or activate one that would mess everything up. Premium plugins are no different - in fact, authors have a really hard time producing outstanding quality at a low cost. 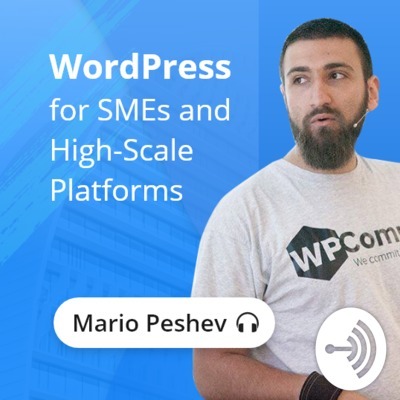 Listen in and learn what to look for in a premium WordPress plugin and how to identify the right solutions for your high-scale website. Purchasing a $49 theme may seem like a good investment for a large website. But is it worth it? Learn the caveats of using multipurpose WordPress themes and possible caveats you need to consider for a large WP platform. What is WordPress Expert and why isn't it a real title? This episode discusses different job titles in the WordPress industry, what should you describe in your job description, how to separate theme and back-end plugin developers and the caveats with generic WordPress titles. The difference between building a custom platform on top of WordPress vs. setting up LEGO with dozens of plugins. Best practices are crucial while scaling. The cost difference is significant, but you don't want to end up relying on a toy for a high-scale platform generating tens of millions in revenue.